NB : Camilla Yahaya - maintains this website. 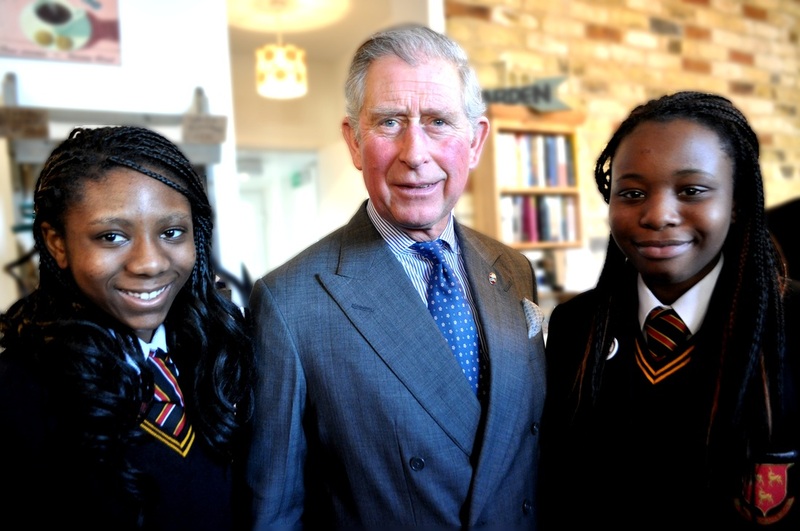 Camilla is 16, currently studying at Prendergast Ladywell Fields College, Lewisham. 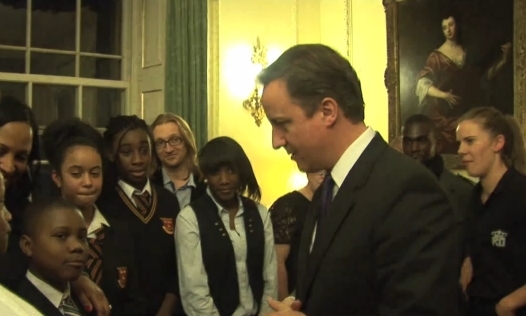 In 2009 Camilla founded a youth led organisation called Young Citizens. Over the last three years she has worked with her community, campaigning to bring about real, youth led, change. The Young Citizens have built relationships between young people, the police, businesses, religious groups and local, national and international politicians. 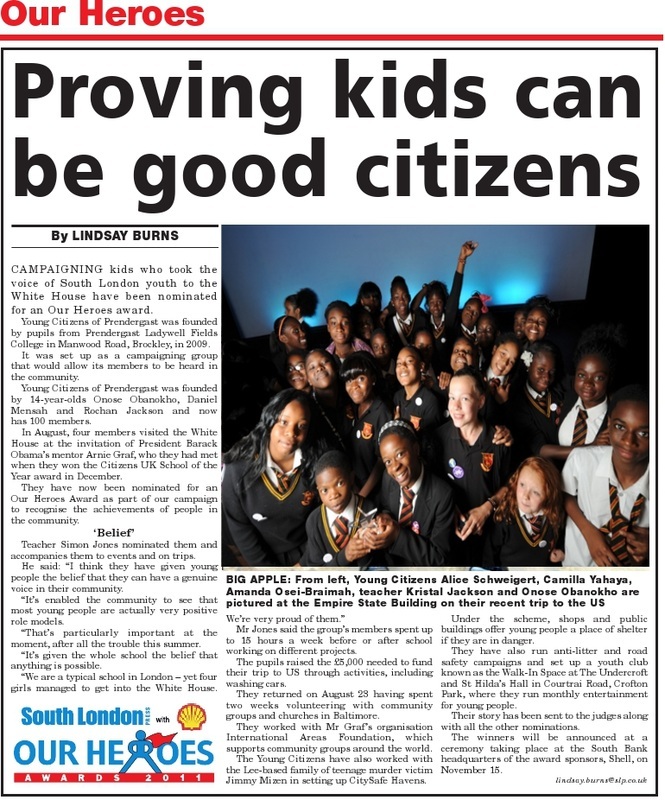 The Young Citizens, with Camilla at its head, has won local, Regional and National Awards : Citizens UK Citizen school of the Year 2010 & 2011, The Mayor of London Merit of Honour 2010, The Spirit of London Young Heroes award. 2010, The South London Press 'Our Heroes' award. 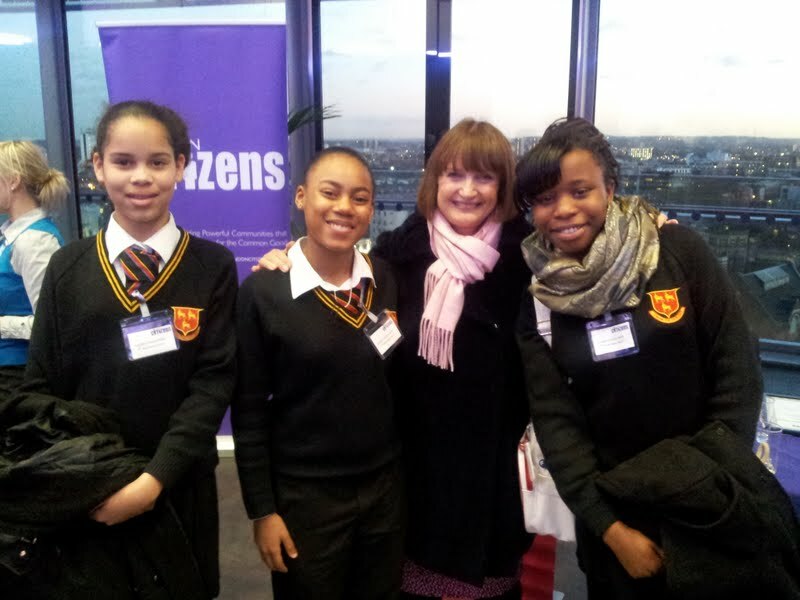 2011, Lewisham Pupil Ambassadors award for Working Together. 2011, The Philip Lawrence Award 2012. Camilla has worked with The Prime Minister, Ed Miliband, Gordan Brown, Baroness Royall, Boris Johnson, Sir Steve Bullock, Prince Charles; additionally she has met with State representatives from , USA, Europe and Japan. Camilla is currently organising the Lewisham 10,000, an event that will bring together every secondary school in Lewisham, and ultimately every pupil in Lewisham. 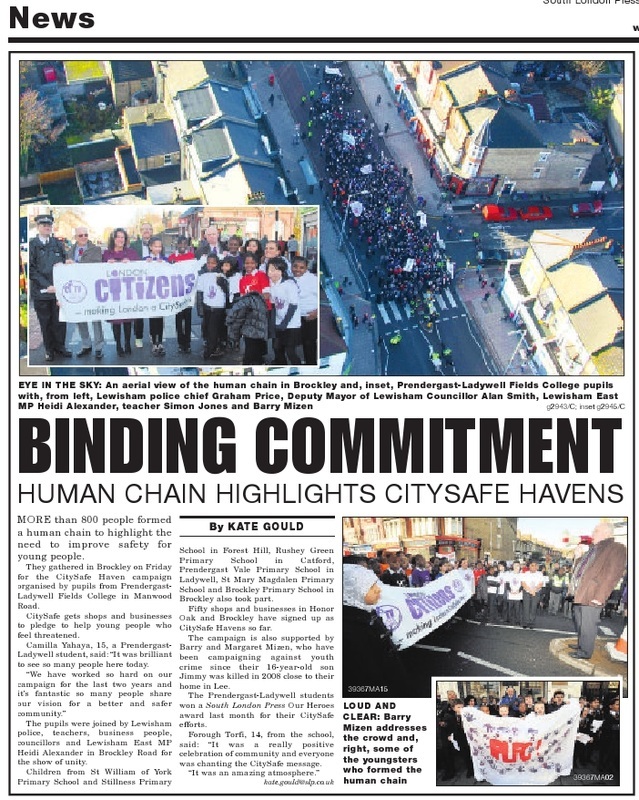 The day will look at ways in which young people and the agencies and organisations that exist for them, can work together to make our streets, community and borough safer. Most recently Camilla was been appointed as a Youth Consultant for : Race for Opportunity, Business in the Community and Lewisham Council. 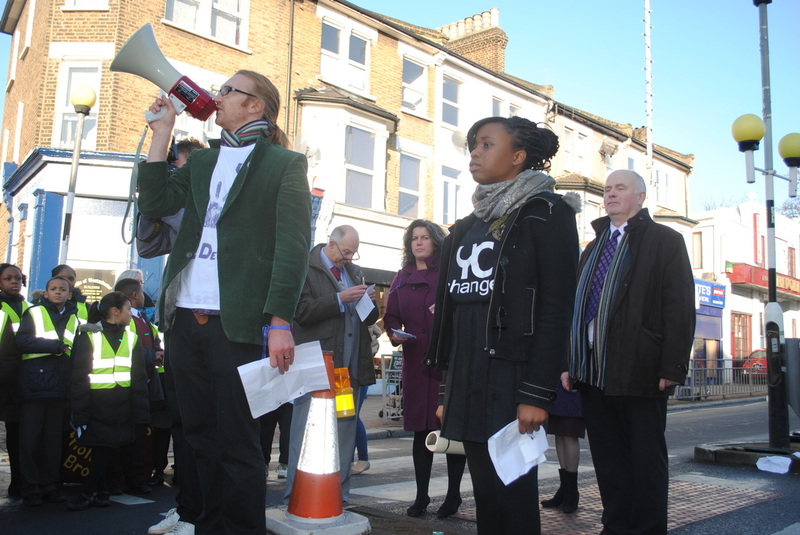 Simon Jones, Director of Community Liason, Prendergast Ladywellfields College. This group has grown over the last few years from 4 Year 8 girls to now over 200 members from all year groups. 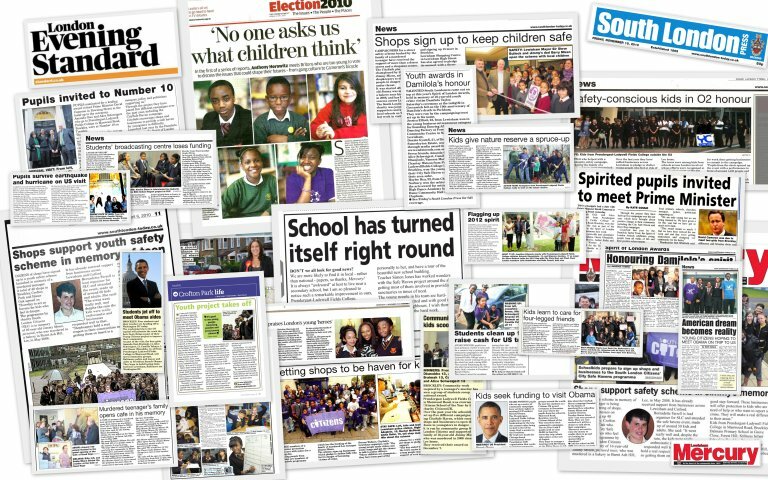 Young Citizens teams have worked with over 30 local primary schools. Camilla set up a local Youth Club, established it as a charity and secured over £20,000 for the young it, she is currently Co-chair. Hosted Community groups and politicians from Connecticut, Berlin and Oslo who were on fact finding missions about youth involvement and politics. Run, taken part in workshops for the Baroness Royall of Blaisdon, Leader of the Opposition. 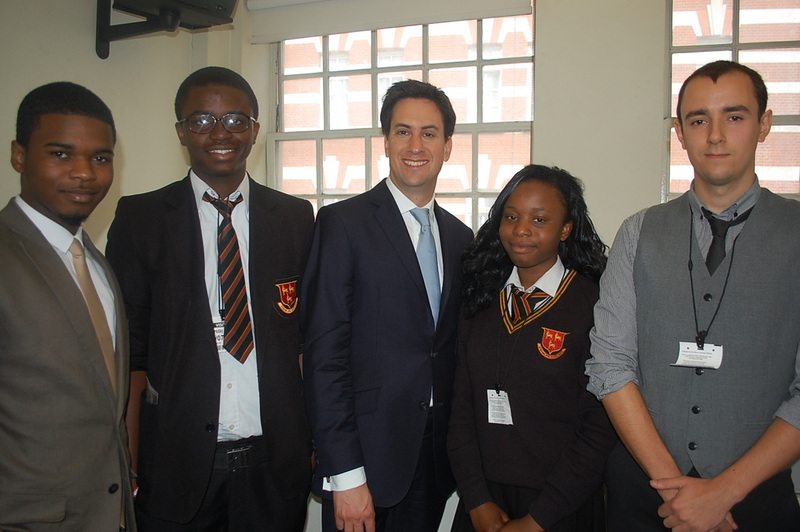 Taken part in youth think tanks for Labour and conservatives, met with Ed Miliband, Boris Johnson, David Cameron, Gordan Brown, Michael Gove, Stephen Twigg, George Osborne. Invited to speak at Labour HQ in Westminster, and was also invited to speak at the Labour Party National Conference. Invited to Downing street twice, regular visitor and speaker at City Hall. Camilla has also spoken at Methodist Church Hall, Friends House, Queen Elizabeth Hall and numerous other well known venues. Camilla has featured on BBC, ITV, SKY, every National Newspaper (Broadsheets) and also has appeared in Evening Standard, and is rarely out of the South London Press. Camilla has also travelled to work politically in the US, last year she raised £5,000 to work with community groups in Baltimore and whilst there was invited to the US Embassy, the British Embassy, Congress and the Whitehouse. This year she won a national comeptition through the Transformation Trust to work with the Obama re-election campaign Florida and Washington. Whilst there she travelled across Florida, met Bill Clingon, Michelle Obama and Mitt Romney. Camilla has also worked closely with Battersea Dogs Home, Lewisham Council, the Mayor of London, Lewisham Mayor and Lewisham Young Mayor. Camilla has campaigned with Heidi Alexander, Joan Ruddock and Ken Livingstone. 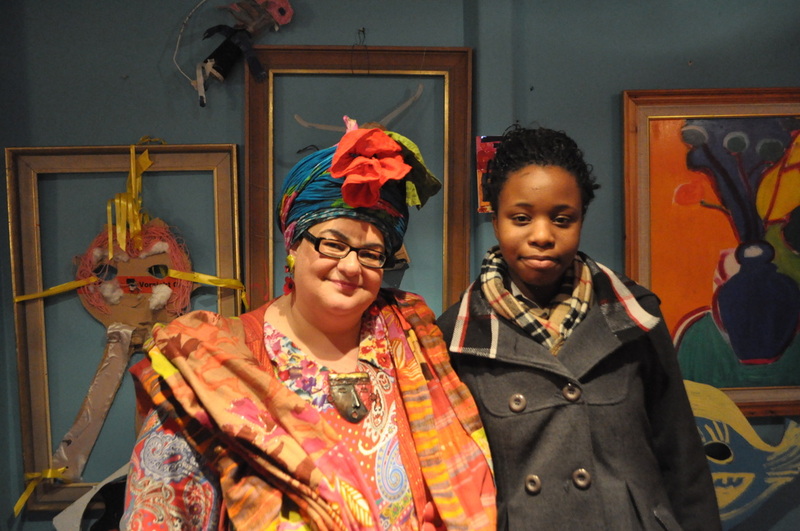 Her work experience was with Heidi Alexander at the Houses of Parliament and in her constituency of Lewisham East. “It is vitally important that we all work together to tackle youth crime and I applaud the efforts of the Young Citizens Project from Prendergast Ladywell Fields College. They have shown great initiative and enthusiasm and I wish them every success with their American adventure. 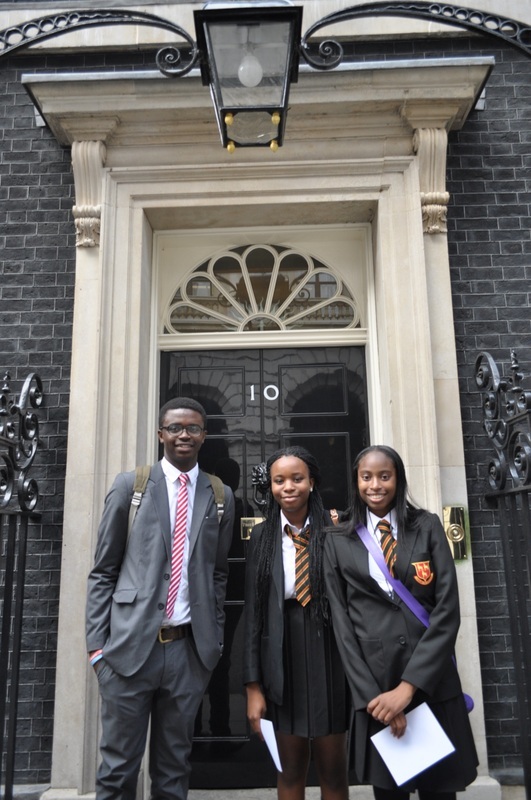 Their achievements are a shining example of how young people can be a force for positive change in their community." Tessa was delighted to meet you and the children on 25th March. She was so impressed by these wonderful young people and for all the hard work you and they have put in to the City Safe campaign locally, for achieving the designation of Lewisham Shopping Centre as the first City Safe Haven in the country and for the work they are doing with the Mizen family, Spirit of London, London Citizens, Lewisham Met and the Mayor of Lewisham to establish City Safe Twins, Lewisham with Liverpool and Baltimore. Please pass on Tessa's congratulations to both you and the 'Young Citizens' of your school for all you and they have done so far and for all they are yet to achieve. 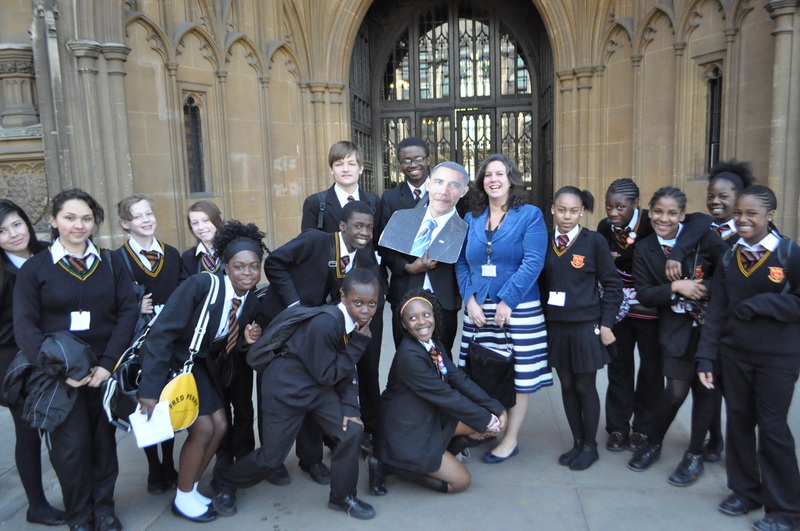 "I'm delighted to support the students at Prendergast Ladywell Fields in their ambition of meeting President Obama at the White House. In setting their sights high they are following the example set by the President himself and I wish them the very best of luck". 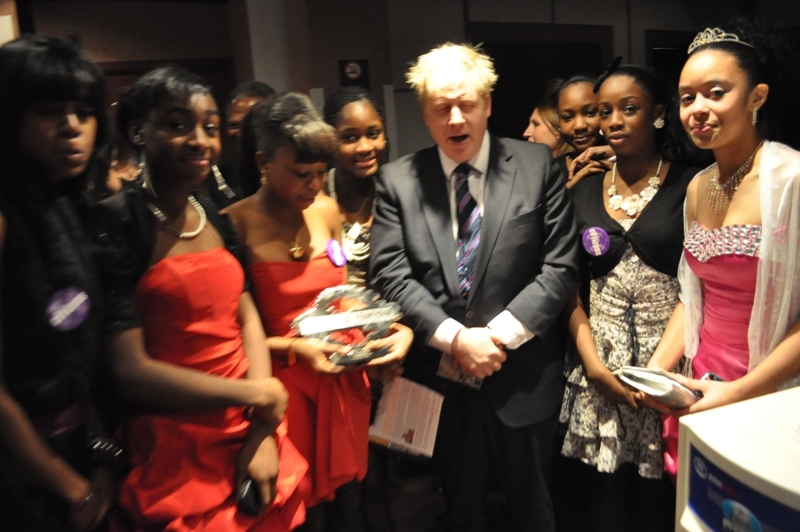 Congratulations to the Young Citizens winning the Spirit of London Award for Young Heroes. The hard work and commitment are a real credit to everyone involved, and you should all take some real pride in what you've achieved. I have to say that in my role as Lewisham's mayor, I consider myself fortunate to see just how hard the young people in our community work, and what an inspiration they are to others. Please accept my sincere thanks and appreciation for all your hard work - and continuing successes. The Young Citizens are always equals to the adults in the room and add significant talent, energy and humour in the most serious of meetings. Congratulations to the team, spending time at Prendergast feels like the most genuine, real and outstanding education experience I come across with all my work in schools. students. By involving them in their ideas the students have broken down many barriers and are now held in a very positive image through their work. Pablo the opportunity to meet new people, eg. children from other schools, the Mayor of Lewisham , people from the local community, to be part of a big project and to have the right to express his ideas, make decisions together with others from the group and to feel that he can make a big difference for the community. praise and support for PLFC’s Young Citizens. Lewisham Police value the strong relationship with PLFC and recognise them as a flagship school in promoting the safety of young people. are capable of and motivated to do if given the opportunity. Theirs is a school described as being in ‘challenging circumstances’ and they have, phoenix like, risen above this.